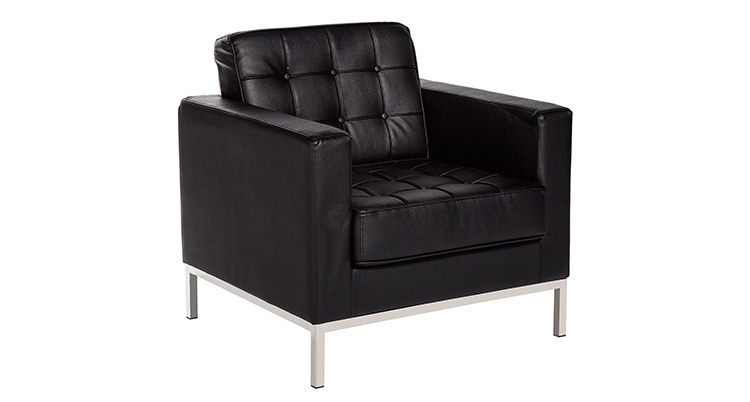 Designed by Florence Knoll in 1954, the Knoll Chair is made of black leather with chrome legs. The Knoll Chair is available in black and white. We also carry the matching Knoll Loveseat and Knoll Sofa.